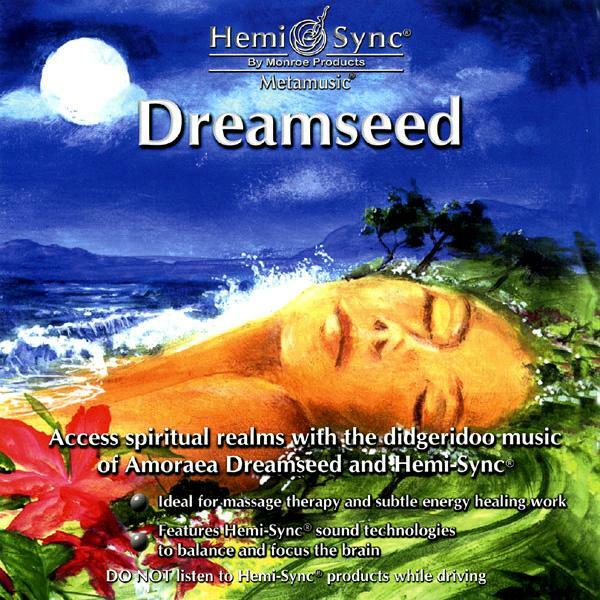 Access spiritual realms and gain harmonic attunement with the didgeridoo music of Amoraea Dreamseed and Hemi-Sync®. Dreamseed transports you, experientially, into powerful mystical states using the low vibrational tones of the didgeridoo to resonate into all levels of your body, mind, and spirit. Bring balance to your subtle energy systems as you access the healing energy within. Instruments featured: didgeridoo, synthesizer, various drums, flutes, crystal singing bowls and nature sounds. Meditation and Spiritual growth, Relaxation music, Altered states of consciousness, Massage and Bodywork, subtle energy systems balance.